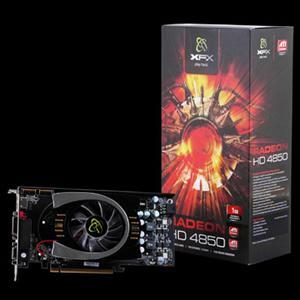 Featuring a full TeraFLOP of compute power, the XFX ATI Radeon HD 4850 is true power player. The single slot design enables easy three- and four-way CrossFire assembly. Play the most intense games with a graphics card that knows how to conserve energy while delivering optimum performance.